As soon as I had Lynda Booth’s new cookery book, Fearless Food in my hands, I went straight into the kitchen and made avocado smash on bruschetta with chilli and mint oil and poached egg and feta. Good start. Then, for lunch, I roasted some squash and served it with Lynda’s pomegranate and mint dressing and St Tola goat’s cheese. I went out to the fish shop to get a bag of mussels to cook her grilled mussels with coriander and coconut pesto. Next day, I did a riff on her lamb kheema, substituting pork for the lamb. I also made the carrot and beet salad, and the swiss chard with coriander and toasted cashews. At this rate, I urgently need Lynda to write another cookery book and get it on the shelves before Xmas. Fearless Food is that particular, rare kind of cookery book: it is irresistible. The fusion of Ms Booth’s culinary experience, and her culinary questing, means that I will cook every single recipe in the book and I will do so knowing that every recipe will deliver. 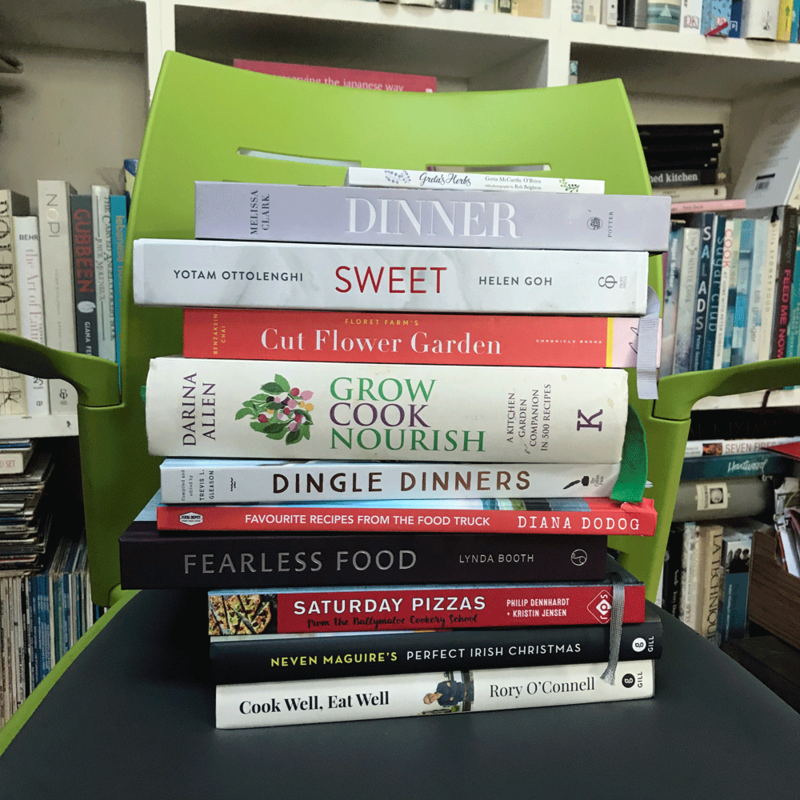 “It’s time for fearless food,” she writes, and here it is, beautiful recipes in a most beautiful book – hats off to snapper Joanne Murphy and designers Mr and Mrs Stevens. Fearless Food is wise, witty and, yes, fearless. It’s a brilliant achievement.